Chief Design Officer will leave the company later this year. 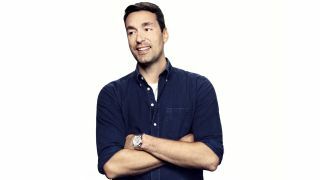 EA has announced its Chief Design Officer Patrick Söderlund will move on from the company later this year. Formerly CEO of DICE, Söderlund joined EA’s executive board after it acquisitioned the Swedish studio in 2006. He played a key role in the spread of DICE’s powerful Frostbite engine across the company, with it becoming the technological basis for games like Dragon Age: Inquisition and Mass Effect: Andromeda.